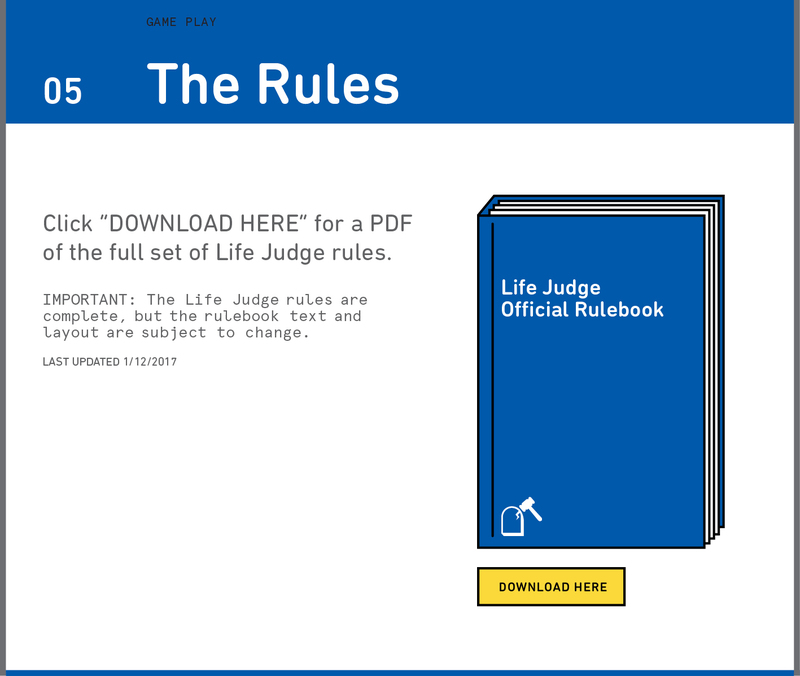 Somewhere between CAH and MASH, between Madlibs and Tarot, between The Game of Life and any semblance of actual life– there proudly stands Life Judge. 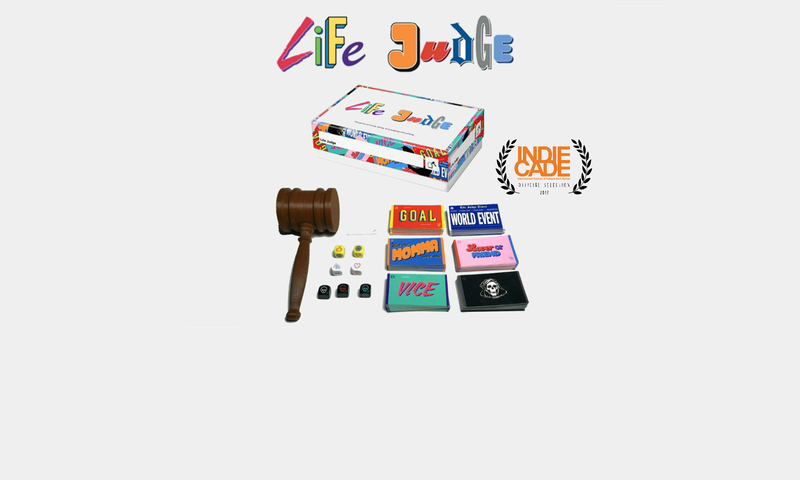 Life Judge is a narrative building party game that uses group consensus as it’s major gameplay tool. In Life Judge, players live hypothetical lives where they can pursue whatever they want, and the group determines the limits of possibility. 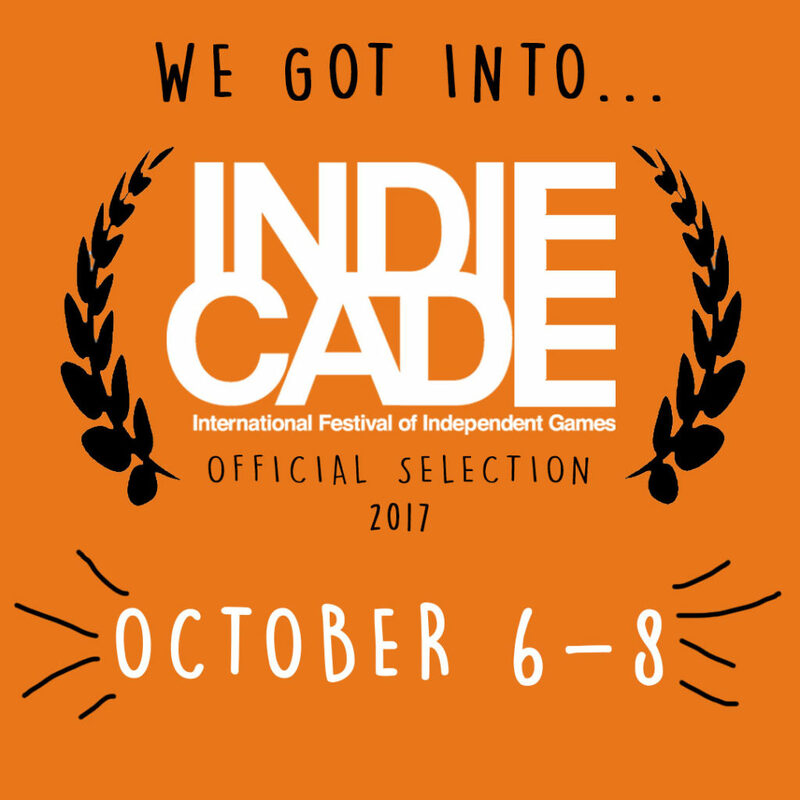 We’ve officially cancelled our campaign (to be revived in a few months). That doesn’t mean you can’t enjoy this slice of Life Judge heaven. 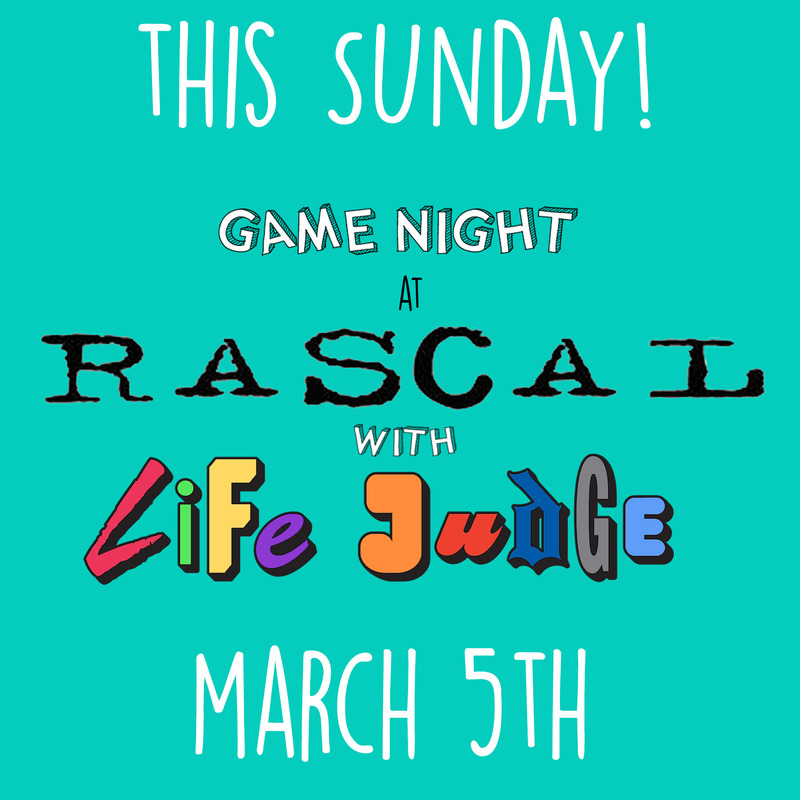 Come play at 5:30 at Rascal Bar in LA. 801 S. La Brea! 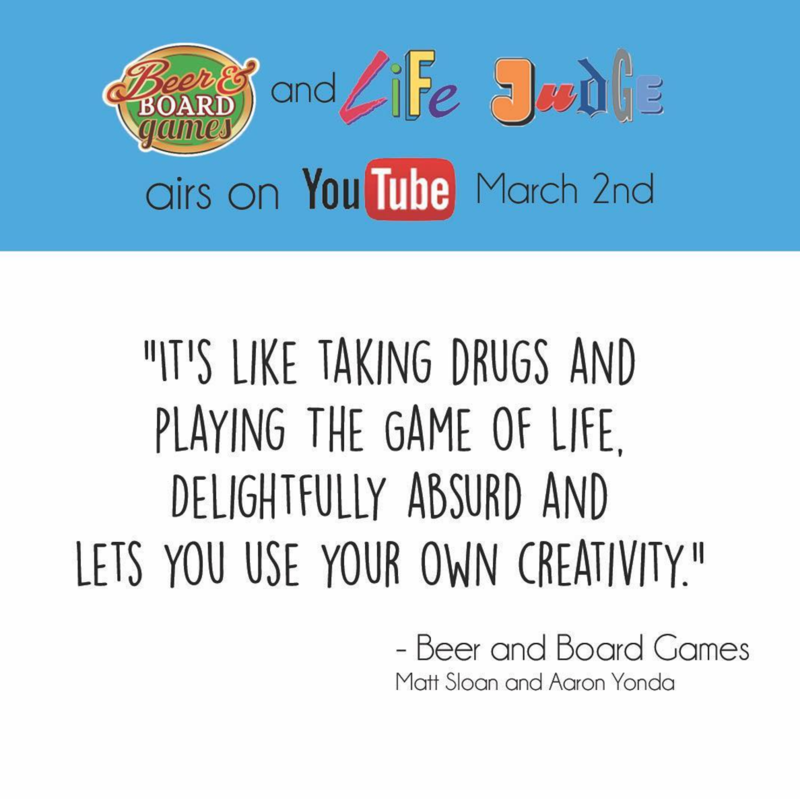 And check us out on Beer and Board Games– Live now on Youtube! Subscribe to our mailing list to keep up with the latest Life Judge amazingness! Find us on instagram and facebook. The instagram is particularly fun.